Once the change has been made in SuccessWare21, the technician must click on the Settings tab, and then choose Reload Assignments. For visual instructions, click HERE. 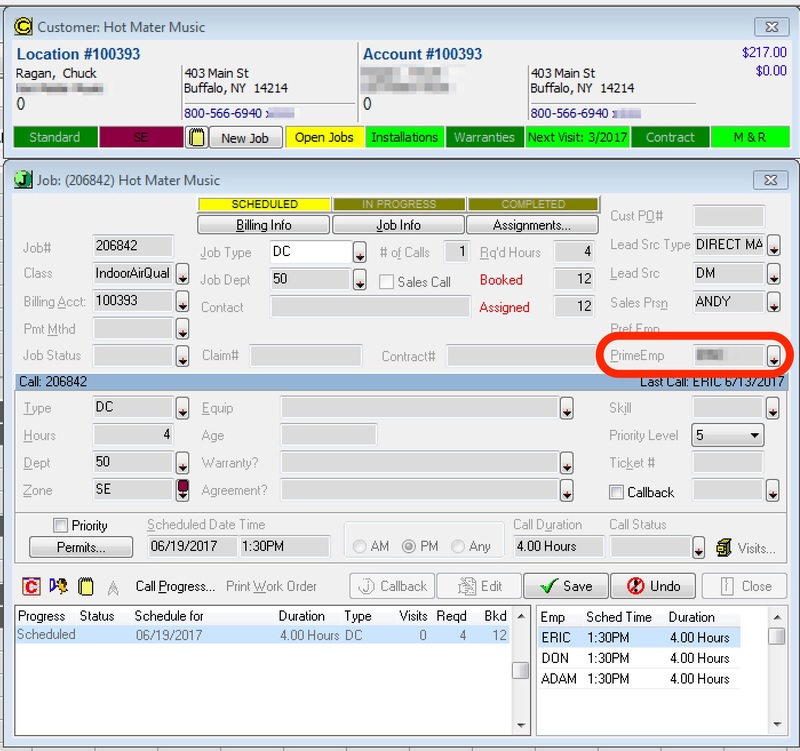 In SuccessWare21 double click on the job within the Call Center/Dispatch board. Click the arrow dropdown next to where it says PrimeEmp. Choose your new Primary Tech by double clicking on them. Any changes made in SuccessWare21 will not modify a technician's job information once the technician is onsite at the job. This is intentional to prevent conflicts between Mobile Technician and SuccessWare21.